Dr D Digs Up Ancestors: Looming Price War on Autosomal DNA Test Kits? With Ancestry's entry into autosomal DNA testing at a teaser entry price of $99, and 23andMe dropping its subscription price in favor of a flat $299 that includes the Relative Finder as well as health tests, stay tuned for the next shoe to drop. The other breaking news is from 23andMe's Anne Wojcicki is so far only being reported to the 23andMe community. As of Thursday 23andMe will stop selling kits on a monthly subscription basis. The new one time cost appears to be $299. If you are not currently a subscriber to 23andMe, you can read Anne's full post on CeCe Moore's blog. It is getting difficult to keep up with all the activity without a program. Such a program is being prepared and will soon be on the website of the International Society of Genetic Genealogists (ISOGG). 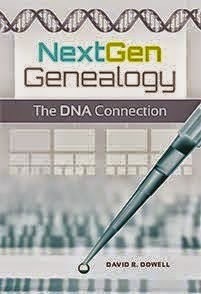 There it will join a wide array of free and authoritative information on genetic genealogy. Will we hear a new marketing program from FTDNA? Will a price war break out? If so, I hope all the current major players survive and that many more people can be enticed to test. The more individuals with whom we can compare our results the better off all of us in the genetic genealogy community will be.